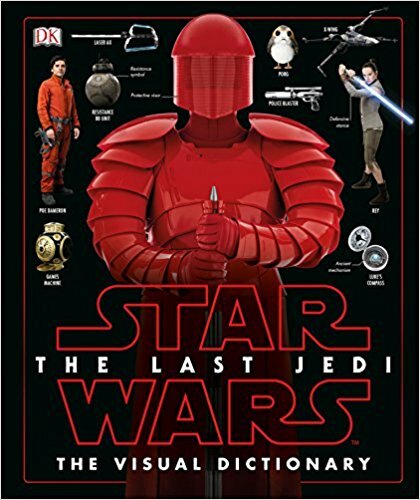 Star Wars: The Last Jedi™: The Visual Dictionary is the definitive guide to Star Wars: The Last Jedi, revealing the characters, creatures, droids, locations, and technology from the film. 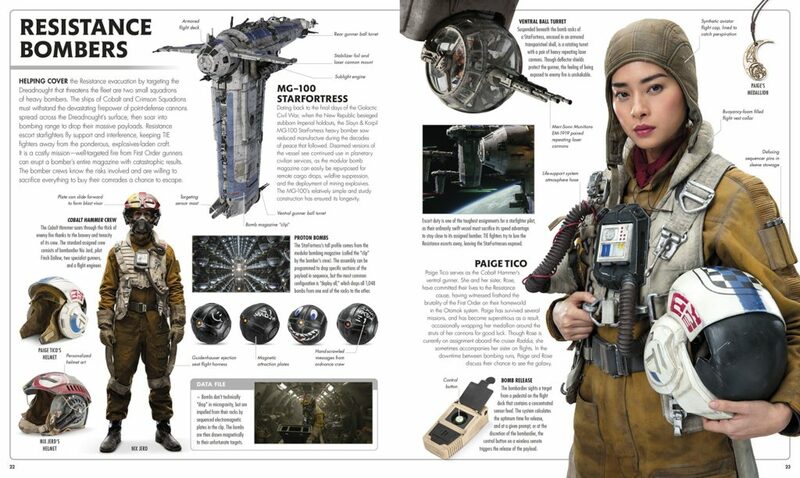 Star Wars: The Last Jedi™: The Visual Dictionary is the definitive guide to Star Wars: The Last Jedi, revealing the characters, creatures, droids, locations, and technology from the new film. Packed with 100+ images and information as penned by Star Wars™ scribe Pablo Hidalgo, it’s a must-have for all fans who want to go beyond the movie experience. This gorgeous large hard covered book covers one of the most beloved series of all times, Star Wars and more specifically The Last Jedi. Star Wars fans waited eagerly (and somewhat impatiently) for this movie to come out so that we could learn more about Rey, Finn, Poe and Kylo. We learned more about these incredible characters and uncovered secrets from the Star Wars past. This book takes us on an adventure (and in my opinion somewhat better than) the movie itself. The book provides us with great detail about all the characters from the fleet command to the resistance fleet and everything in between. Each page provides an in-depth look at the character and items that are attached to them whether it be ships or devices. The book also gives ‘data files’ which are about a paragraph long and contain key points for the topics discussed on those pages. This insightful look into this movie really helped us understand parts that we may have overlooked or not understood as well as we could have when watching the movie. It is definitely helpful to read this book before and after you watch the movie to pick up on these little facts. Every page contains illustrations of the characters, ships and devices covered on that page. These illustrations also come with points and facts that help you understand the significance of the illustration and how it all connects. There is a great combination of small, medium and large illustrations throughout the book with a great flow from page to page. I loved the use of dark and light to help highlight the good and bad characters from the movie. Star Wars The Last Jedi Visual Dictionary will be the perfect gift for the Star Wars fan in your home or for an introduction into the Star Wars legacy. Both my kids and I loved every part of the book and with its easy flow, you can mix up the order of the pages you read without feeling like you are missing something.